Inspired by port, the Mostello is an original creation of the house. Refined with cider pears and sprinkled with pear distillate, the Mostello is a highly aromatic creation that is a pleasure to taste. The fermenting most is sprinkled with high-quality pear distillate and aged in barrel to become the exceptional drink it is. 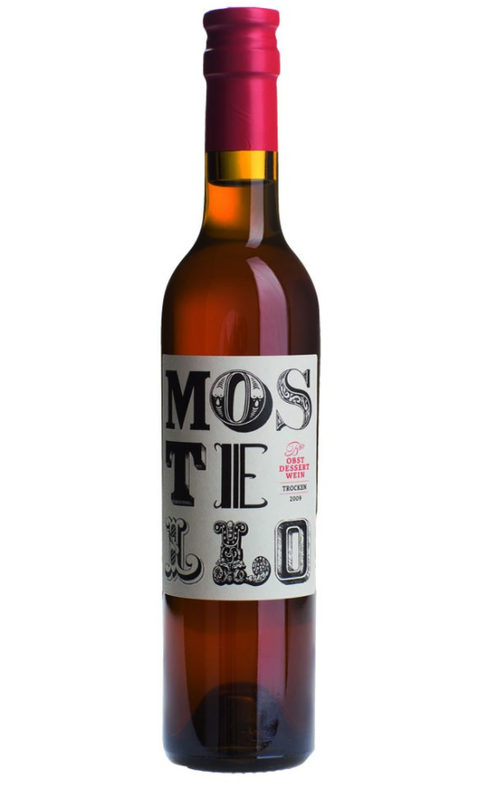 The Mostello 2007 is sweet and has a golden brown, clear colour. The taste of the dessert wine with aromas of rum and the sweetness of blossom honey is pleasantly warming and has a full-bodied feel with pleasant acidity. The Mostello has 19.2% vol. alcohol and comes in a 0.35-litre bottle.